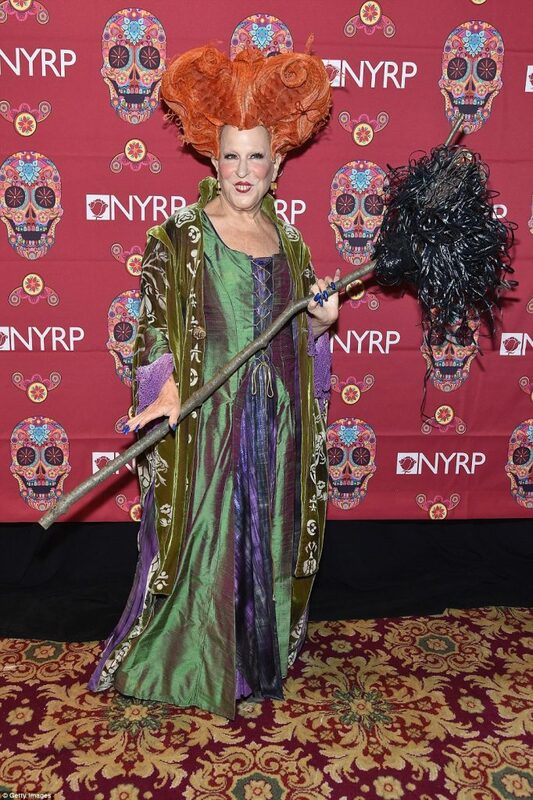 Bette Midler returned as her character Winifred Sanderson for her New York bash this Halloween. Reminiscing about childhood memories from the film, Bette looked fantastic in this scary costume! 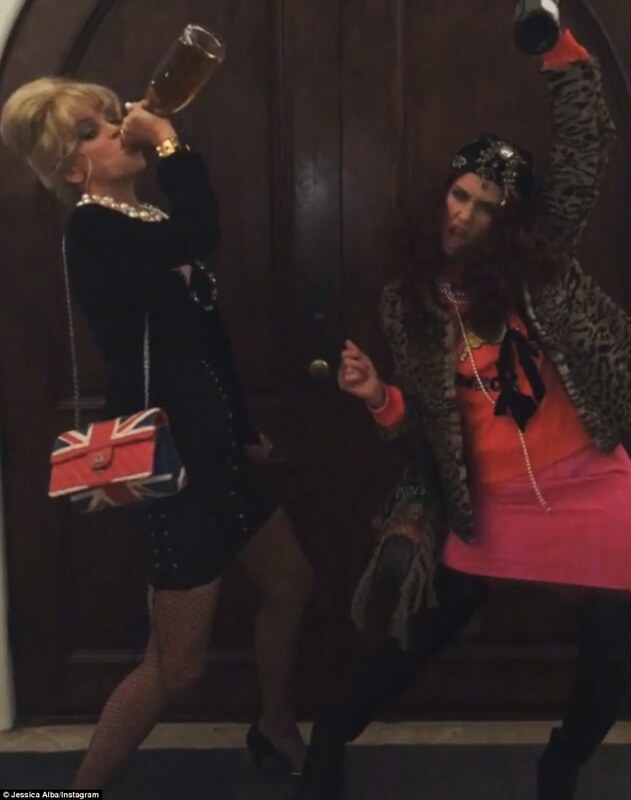 Opting for a less traditional Halloween outfit, Jessica Alba and her friend were unrecognisable in these Absolutely Fabulous costumes. Taking on Eddie and Patsy’s personas, Jess really showed off her fun side in this costume. Kylie Jenner loves to break the mould and she certainly did in this less than traditional Halloween costume. Dressing as Christina Aguilera from her ‘Dirrty’ music video, Kylie recreated her look down to a T including even the contact lenses. 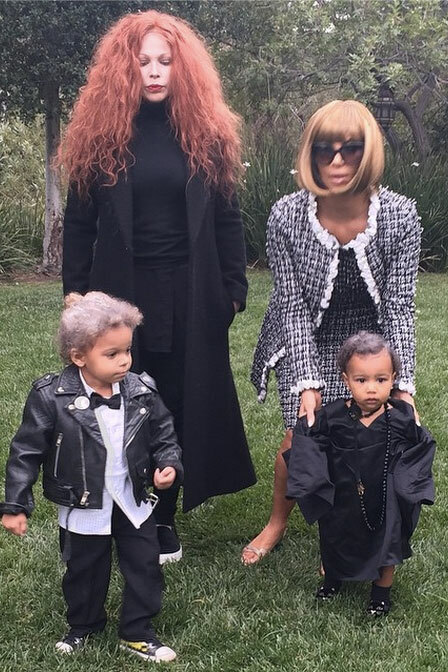 In 2014 Kim Kardashian and her make up artist Joyce Bonnelli dressed as Editor in Chief of US Vogue Anna Wintour and Joyce dressed up as Creative Director Grace Coddington, with North West dressing as Andre Leon Talley and Joyce’s son as Karl Lagerfeld. This is a totally different look for Kim, and they all pull it off so well. 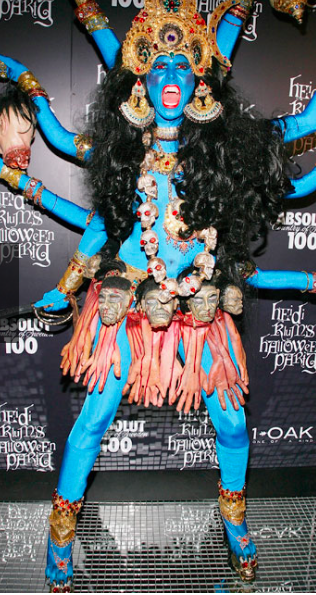 Known for her eccentric Halloween parties each year, 2008 was a personal favourite of mine of Heidi Klum’s. She’s known for going all out with her hilarious costumes and this one definitely didn’t dissapoint. It’s great to see A-listers taking a day off from all the glitz and glamour of their normal day to day lives and seeing them take on a different persona for one day is really interesting. As they are known to go all out, its great to take inspiration from their different outfits for our own Halloween parties. What did you dress up as the year?